North Carolina State Shaped Cutting Board. Our cutting boards are handmade, heirloom quality and made from beautiful solid Cherry hardwood. It measures approximately 16″ by 6.25″ overall and is 3/4″ thick. The finish is 100% FDA approved as food safe. We use our own special blend of mineral oil, beeswax and carnuba wax to seal the board and give it a beautiful luster. Handmade by Tony Reynolds Designs in Granville, Ohio USA. 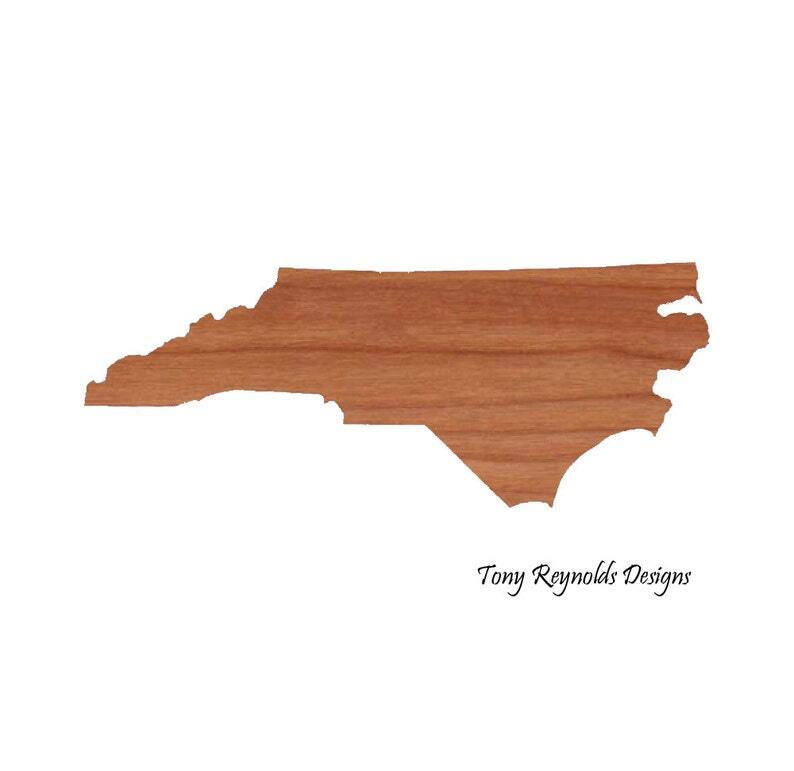 A North Carolina State Shaped Cutting Board makes a great gift for Christmas, Birthdays, House Warming, or just about any other gift giving occasion.